The center diamond is 1.00 carat GIA certified round brilliant. It is very well cut graded at color G clarity VS 1. The accent diamonds weight a total of .25 carats and are of top quality. The ring is made of solid 18 karat yellow and white gold. It can also be ordered in all white gold as well. 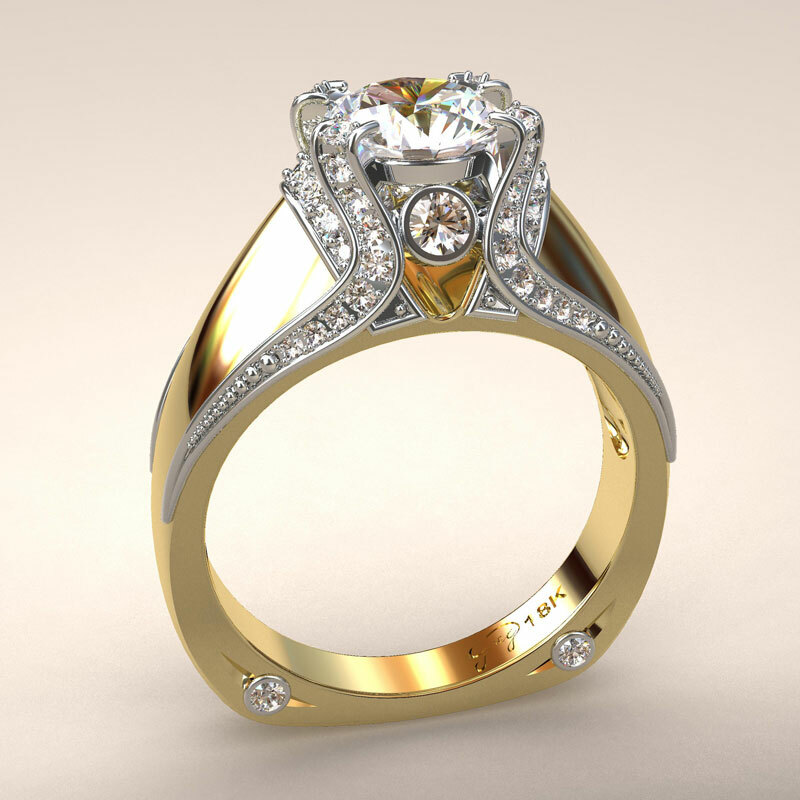 This is a very elegant ring that brings a little Italian flare to one of my ring forms. and your budget or Greg will customize a ring just for you. Call or Contact Greg today and see what he will create for you!